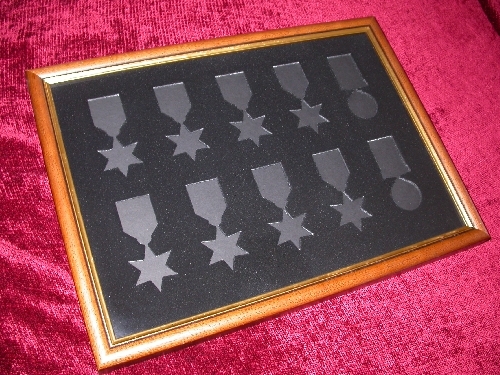 This is our frame to house all eight WW2 Campaign Stars and the Defence & War medals. Solid wood moulding and velvet coating in a choice of black or burgundy. We are able to supply replacement ribbon and medals or plaque alongside namplates and photographic plates.